OVERCOMING OBSTACLES. LGBT SITUATION IN UKRAINE IN 2018. 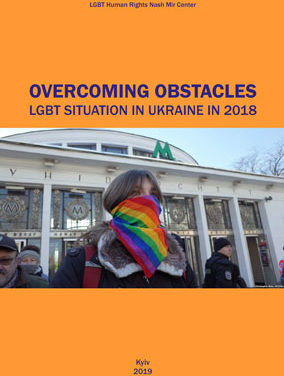 This publication presents information that reflects the social, legal and political situation of the LGBT (lesbian, gay, bisexual, and transgender) people in Ukraine in 2018. It contains data and analyses of the issues related to LGBT rights and interests in legislation, public and political life, and public opinion, and provides examples of discrimination on ground of sexual orientation or gender identity and more. 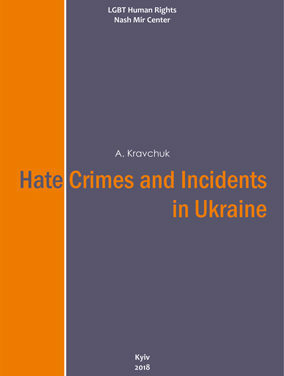 The publication briefly analyzes and reflects the current situation with hate crimes and incidents in Ukraine on various grounds and towards various vulnerable groups: the legal framework, socio-historical context, trends and prospects for development. This publication is intended for general education of specialists and the public as well as provides practical recommendations for improving the situation in this area.